The ExoMars rover that will search for the building blocks of life on the Red Planet has a name: Rosalind Franklin. The prominent scientist behind the discovery of the structure of DNA will have her symbolic footprint on Mars in 2021. 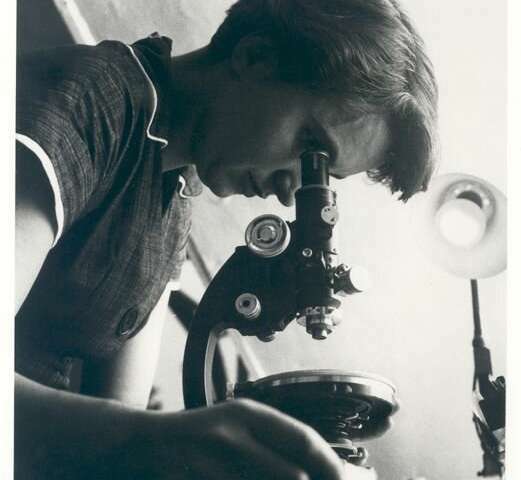 A panel of experts chose 'Rosalind Franklin' from over 36,000 entries submitted by citizens from all ESA Member States, following a competition launched by the UK Space Agency in July last year. The ExoMars rover will be the first of its kind to combine the capability to roam around Mars and to study it at depth. The Red Planet has hosted water in the past, but has a dry surface exposed to harsh radiation today. The rover bearing Rosalind Franklin's name will drill down to two metres into the surface to sample the soil, analyse its composition and search for evidence of past – and perhaps even present – life buried underground. 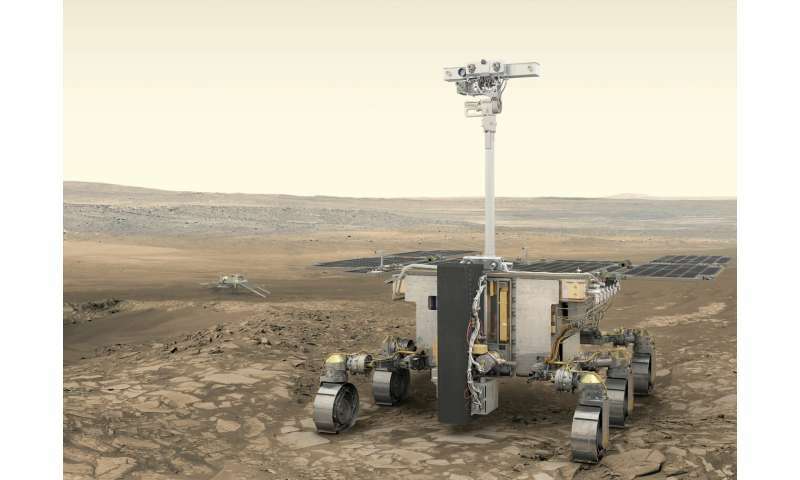 The rover is part of the ExoMars programme, a joint endeavour between ESA and the Russian State Space Corporation, Roscosmos. Rosalind Elsie Franklin was a British chemist and X-ray crystallographer who contributed to unravelling the double helix structure of our DNA. She also made enduring contributions to the study of coal, carbon and graphite. ESA has a long tradition of naming its missions for great scientists, including Newton, Planck and Euclid. "This name reminds us that it is in the human genes to explore. Science is in our DNA, and in everything we do at ESA. Rosalind the rover captures this spirit and carries us all to the forefront of space exploration," says ESA Director General Jan Woerner. The name was revealed this morning in the 'Mars Yard' at Airbus Defence and Space in Stevenage, in the United Kingdom, where the rover is being built. ESA astronaut Tim Peake met the competition entrants who chose the winning name, and toured the facility with UK Science Minister Chris Skidmore. "This rover will scout the martian surface equipped with next-generation instruments – a fully-fledged automated laboratory on Mars," says Tim. "With it, we are building on our European heritage in robotic exploration, and at the same time devising new technologies." The rover will relay data to Earth through the Trace Gas Orbiter, a spacecraft searching for tiny amounts of gases in the martian atmosphere that might be linked to biological or geological activity since 2016. Rosalind already has a proposed landing site. Last November a group of experts chose Oxia Planum near the martian equator to explore an ancient environment that was once water-rich and that could have been colonised by primitive life. Looking beyond ExoMars, bringing samples back from Mars is the logical next step for robotic exploration. ESA is already defining a concept for a sample return mission working in cooperation with NASA. "Returning martian samples is a huge challenge that will require multiple missions, each one successively more complex than the one before," says David Parker, ESA's Director of Human and Robotic Exploration. "We want to bring the Red Planet closer to home. We want to delve into its mysteries and bring back knowledge and benefits to people on Earth. Returned planetary samples are truly the gift that keeps on giving – scientific treasure for generations to come," he adds. Long-term planning is crucial to realise the missions that investigate fundamental science questions like could life ever have evolved beyond Earth? ESA has been exploring Mars for more than 15 years, starting with Mars Express and continuing with the two ExoMars missions, keeping a European presence at the Red Planet into the next decade.